Friends, it's been so long. I'm not sure I remember how to blog... or how to decorate. This nomadic period in our lives has been fun, but we are ready for a home and a routine. I promise to be back to blogging very soon. 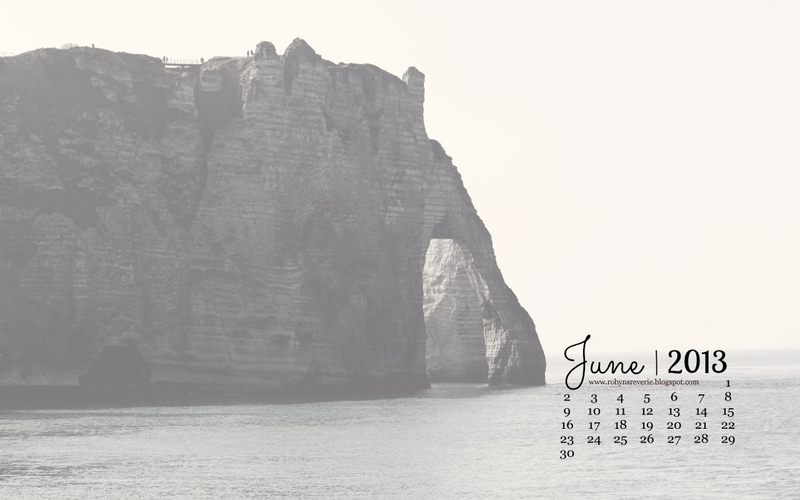 In the meantime, enjoy the June desktop background. It features an image of the lovely white cliffs of Etretat, France. Click on the picture and save to your computer. Once saved, open and right click. Select "set as desktop background. Voila!